Impressive levels of comfort and refinement. Spacious interior and large boot. Well-equipped as standard. Good ride and very comfortable. Not as efficient or as cheap to buy as its rivals. Bland styling. 1.2 petrol engine is characterless and slow. The Ka+ is the cheapest new Ford, with its sub-£9k price pitching it squarely against the best five-door small hatchbacks on the market. Good build quality and low running costs make the Ka+ easy to recommend, although some might be disappointed by the bland styling and sluggish performance. 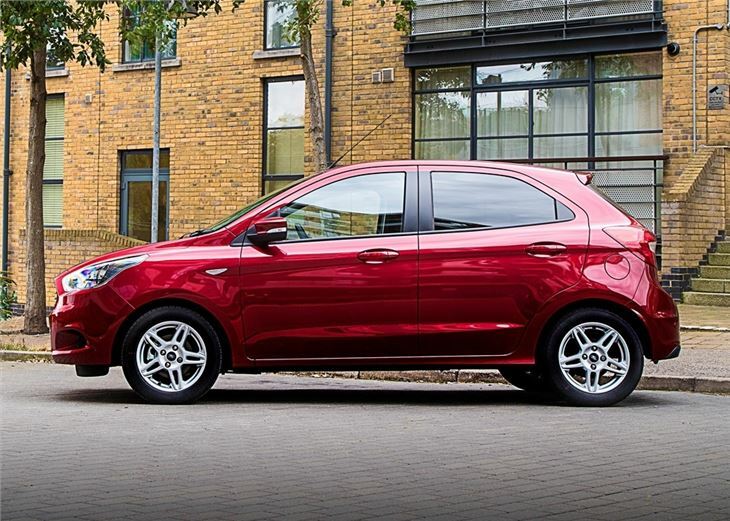 Despite the name, the Ka+ is not actually related to the Ka - it’s actually based on the Fiesta. 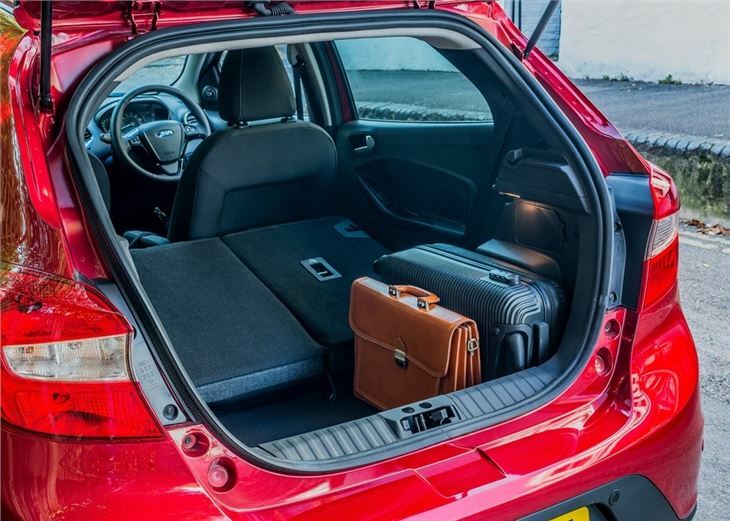 Yet, despite being shorter than Ford’s best-selling hatchback, the Ka+ is a proper five seater and has a useable 270-litre boot. 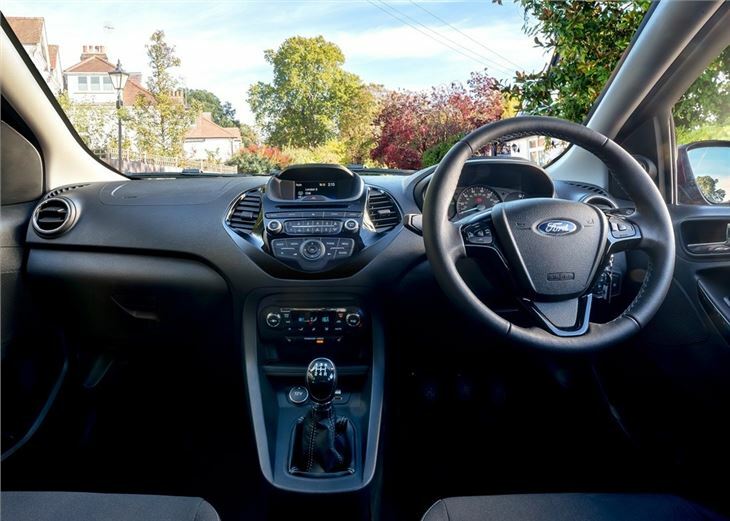 There are only two trim levels to choose from - Studio and Zetec - but both versions get lots of kit as standard, including front fog lights, electric door mirrors, Bluetooth and electric front windows. However, unlike the competition, there are no colourful customisation options for the interior, which means you have to make do with lots of dull grey plastic. 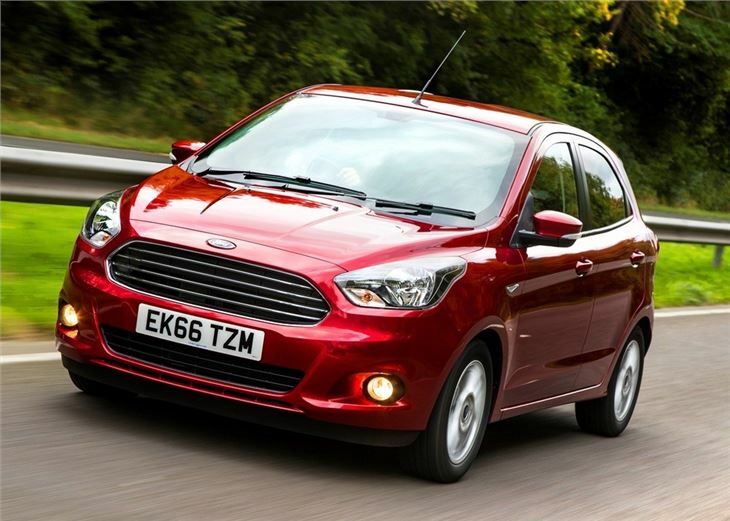 Despite being the entry-level car of the Ford range, the Ka+ doesn’t feel below par when it comes to quality. All of the doors shut with a satisfying clunk and the switchgear in the cabin feels on par with anything you’d find in the Mondeo or S-MAX. Soundproofing levels are also impressive, which means the cabin is quiet and a relaxing place to sit. 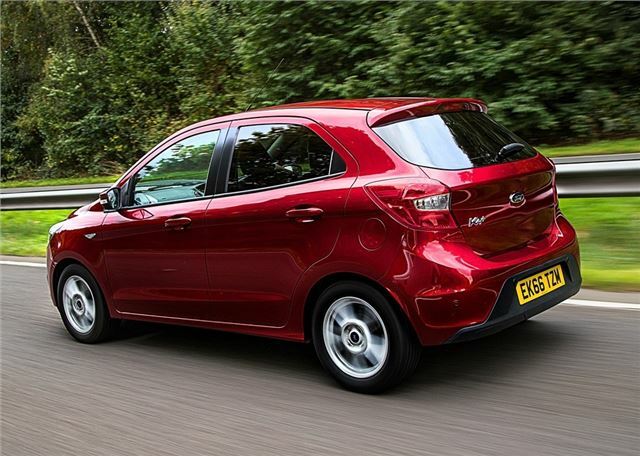 The Ka+ impresses on the road with a smooth ride that does a good job of ironing out bumpy roads and potholes. The steering is precise and light, which makes it easy to navigate tight urban streets and exploit gaps in traffic. The large windscreen and wide door mirrors also provide excellent visibility, which makes reversing and parking a stress free experience. The engine and gearboxes choices are limited. In fact, there is just one engine - a 1.2-litre petrol that comes in two versions - 70PS or 85PS. And there's only a five-speed manual gearbox. Both versions of the four-cylinder engine return an official 56.5mpg, however, even in its most powerful form, the Ka+ is slow footed, with 0-62mph taking 13 seconds. Opt for the 70PS unit and you’ll be waiting 15 seconds to hit motorway speeds, which makes busy junctions and slip roads a frustrating experience. Despite its shortcomings, the Ka+ is a decent small hatchback, even if it sorely lacks Ford’s excellent 1.0 EcoBoost engine. The interior gets all the basics right, with lots of space and impressive build quality. 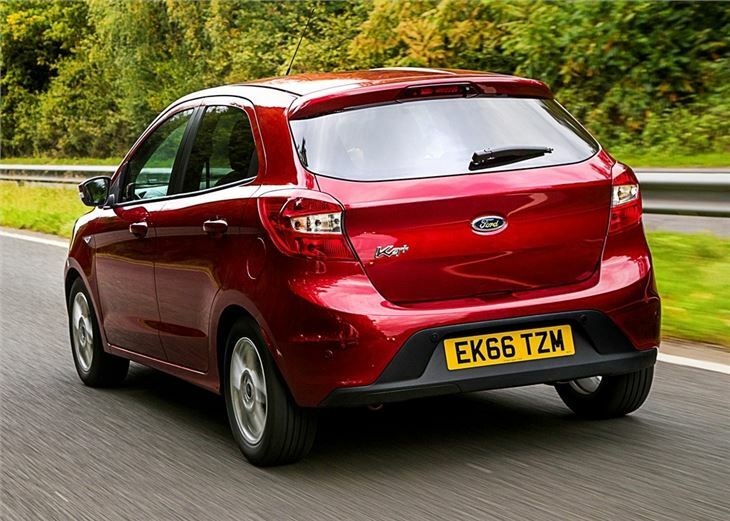 Running costs are also low, which makes the Ka+ an appealing choice as a second car. 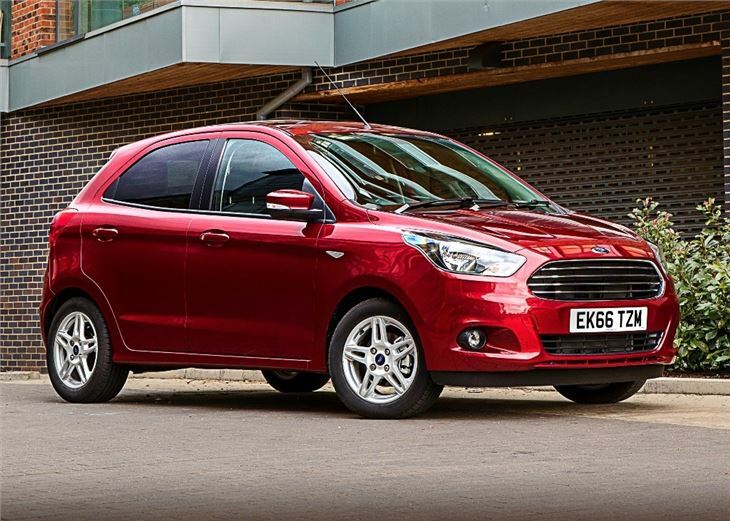 However, there’s no hiding the fact that the 1.2-litre engine is weak on performance. The dull interior only enhances the fact that the Ka+ desperately lacks the fun and style of its rivals.